I’ve seen homeowners do some pretty crazy stuff with their pool plumbing, but one thing that is quite common is finding valves arranged to slow down the water flow through a solar pool heater. The rationale given by people is that they want the water in the solar pool heating panel to heat up more before it gets returned to the pool. It sounds like a reasonable idea, but unfortunately it’s not the right way to maximize the performance of a solar pool heater! Sure, it’s nice to stand by the return jets in your pool and feel that warm water coming off your roof, but to maximize the overall heat transferred to your pool, you actually want a higher flow rate with a smaller temperature rise. Why is that? 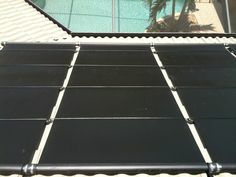 Because solar pool heating panels perform better when the relative pool water temperature is lower. More heat can be transferred to the water if it is not already relatively hot. Think of it this way — there is a stagnation temperature at which the water temperature will not increase any more. As the water in the panel heats up an approaches stagnation, the rate at which it heats up continues to go down. 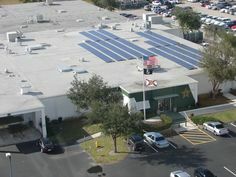 Solar panel manufacturers test panels to find the optimum flow rate. The tests are performed under ideal conditions. 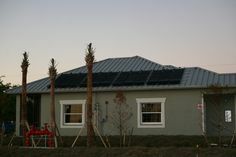 At most, solar pool heating panels can convert about 85% of the solar energy that hits them. At 4 gallons per minute, a typical panel reaches about 80% efficiency and the efficiency curve flattens out. Higher flow rates just cause unnecessary energy use and excess pressure within the system, adding little heating performance. 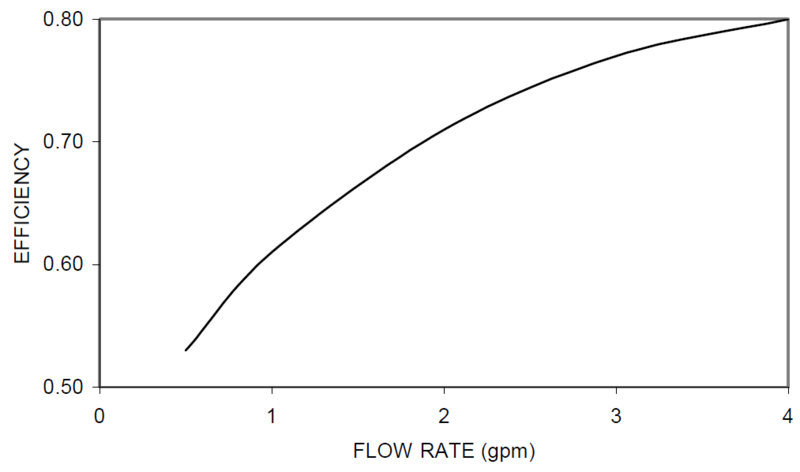 At just 2 gallons per minute, the efficiency is pretty good, and you are at the “knee” of the efficiency curve, which is a good balance. Of course, solar pool heaters often operate in less than optimal conditions, so a slightly lower flow rate may be justified. A good rule of thumb is between 2 and 4 gallons per minute per panel, proven by decades of experience. Most of the time we are limited by the existing pool pump, which will produce a flow rate that is dependent on the back pressure in the existing pool equipment plus the pressure added by the solar pool heater. 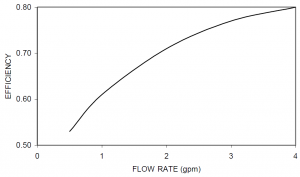 Fortunately, in most residential applications the existing pump will produce a flow rate in the ideal range. The best scenario is having a variable speed pump that can be “dialed in” to a suitable flow rate, maximizing the balance between heating performance and energy savings. In many commercial applications, a booster pump is required to maintain overall flow rates while optimizing the solar pool heating performance. If you are wondering what flow rate is ideal for your solar pool heater, consult the manufacturer’s spec sheet or ask you trusted dealer. Don’t fall into the trap of believing the a low flow rate with a large temperature rise will provide the best performance from your system!